I wanted to do something Eastery with my nails today, so I opted for some pastel polka dots (everything is pastel right now so why not add my nails into the mix?) and a cute bunny rabbit! Nevertheless, I love this and I think it's super cute and bang on trend with it being Easter weekend and all! I love the pink polka dots on the blue - I think I'll be rocking just this look this Spring/Summer! Cute! What do you think? 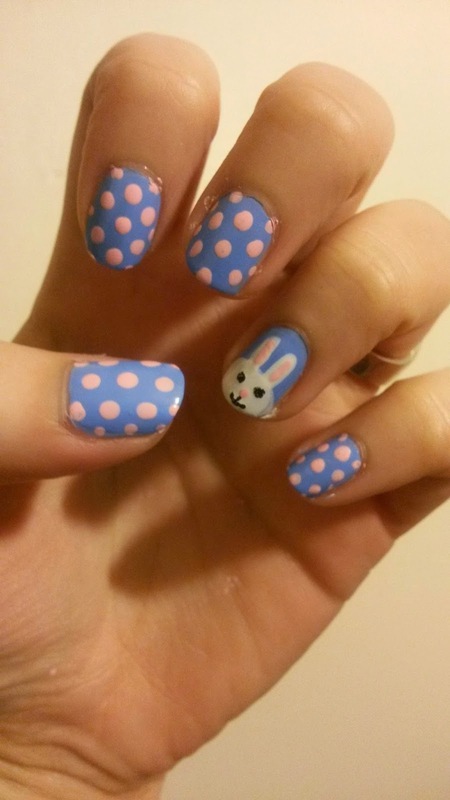 Have you tried any Easter nail designs?